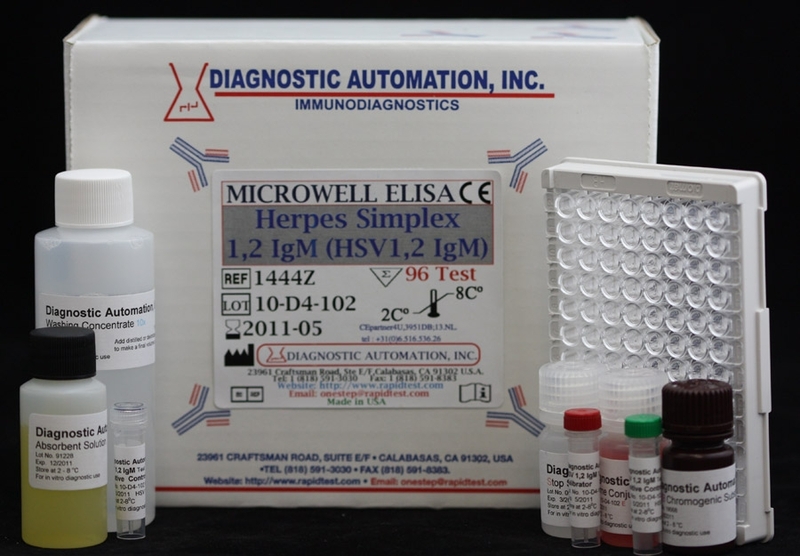 Rubella IgA ELISA kit | FDA-CE | 818-591 3030-USA. 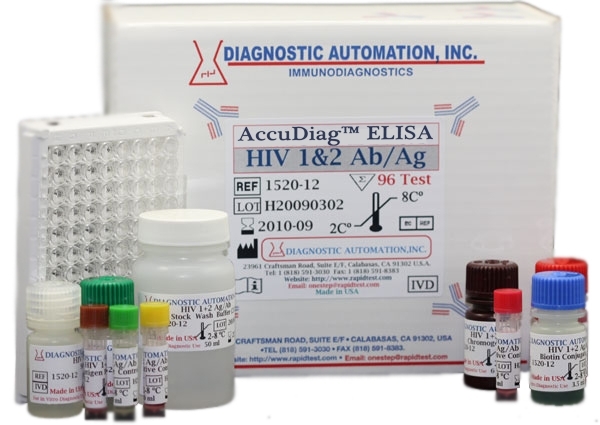 Diagnostic Automation Rubella IgA Elisa Test Kit is intended for use in the detection of IgA antibody to the rubella virus. 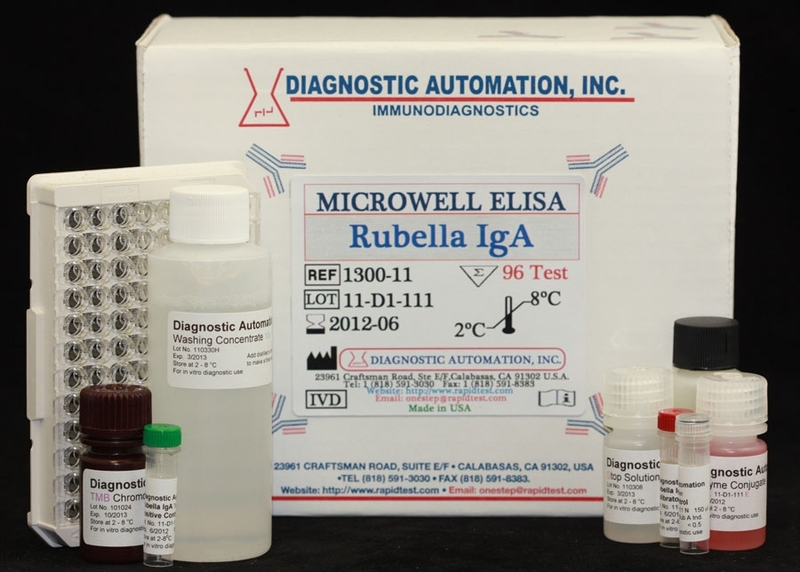 Rubella IgA is an accurate and sensitive method to detect Rubella antibody IgA isotype. Rubella also known as German measles is caused by Rubella virus which belongs to the Togavirus family. Togavirus is an enveloped virus with a single-stranded RNA genome. Generally rubella is considered a mild adolescence disease. However a maternal infection could be transmitted through the placenta to the fetus, causing congenital rubella or congenital rubella Syndrome in newborn. Congenital rubella may result in chronic cardiac disease, growth retardation, hepatosplenomegaly, auditory defects, blindness, cerebral malformations and other severe anomalies. The first trimester defect is assoiated with the highest risk of defects in organogenesis. Children born asymptomatic may develop these abnormalities later in life. To reduce risk of such severe complications, accurate serological methods must be performed to determine the serologic status of childbearing aged women. The Rubella antibody status of pregnant women are commonly determined at the first prenatal visit. Those without antibodies are monitored through early pregnancy for seroconversion. The antibodies present to Rubella may be of IgA, IgM, and IgG. The physiological function of IgA and its clinical implication is still unclear. 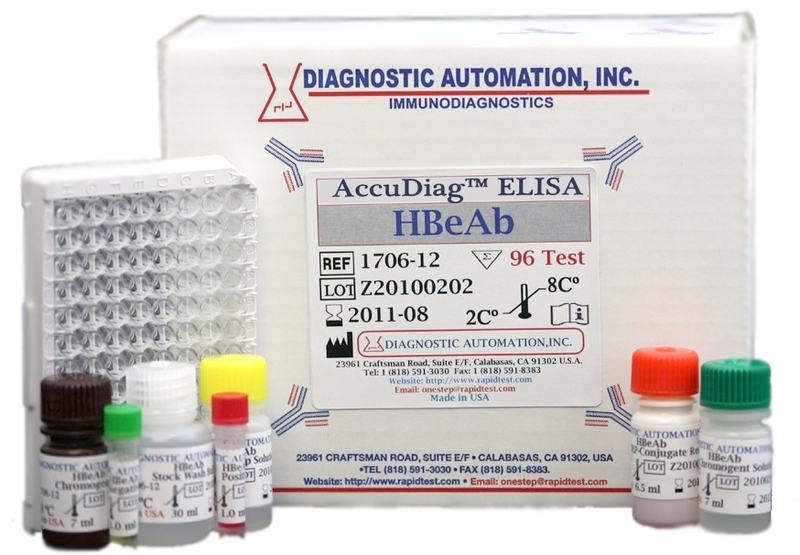 Rubella IgA elisa test provides an accurate and sensitive method to detect Rubella IgA antibody. Purified rubella antigen is coated on the surface of microwells. 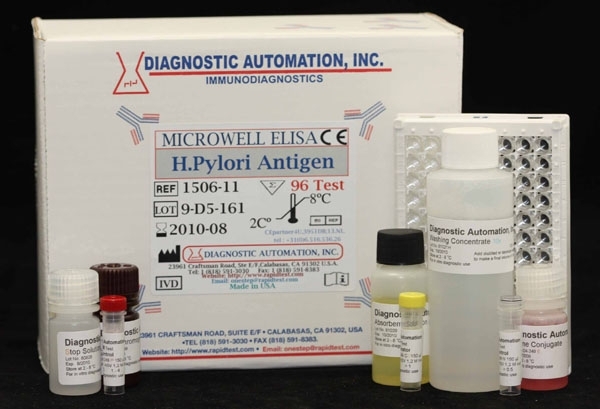 Diluted patient serum is added to wells and the rubella IgA specific antibody, if present, binds to the antigen. All unbound materials are washed away. After adding enzyme conjugate, it binds to the antibody-antigen complex. Excess enzyme conjugate is washed off and TMB Chromogenic substrate is added. The enzyme conjugate catalytic reaction is stopped at a specific time. The intensity of the color generated is proportional to the amount of IgA specific antibody in the sample. The results are read by a microwell reader compared in a parallel manner with calibrator and controls. 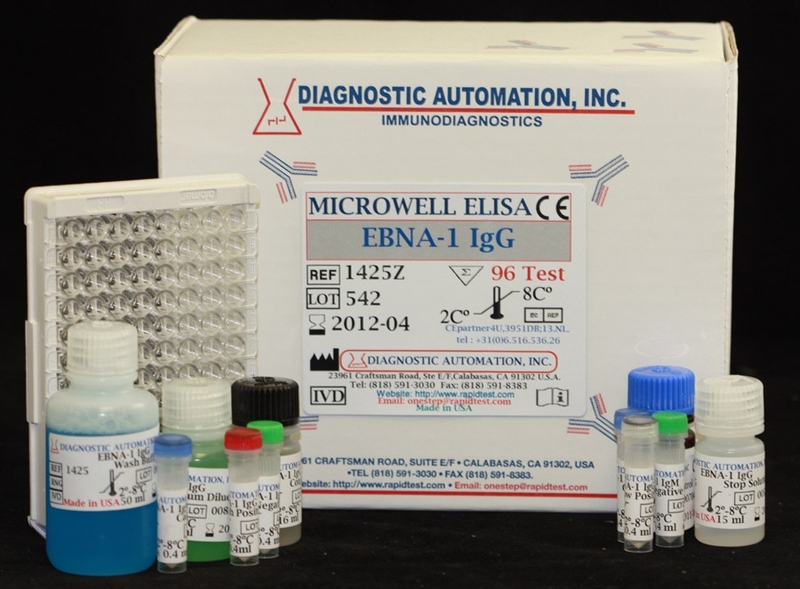 Our Rubella IgM Elisa kit have high specificity and sensitivity.